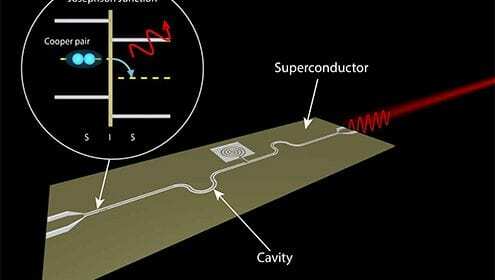 Work done at QuTech and the Kavli Institute for NanoScience at Delft University of Technology sponsored by the FOM-Microsoft partnership program on Topological Quantum Computation and the European Research Council. 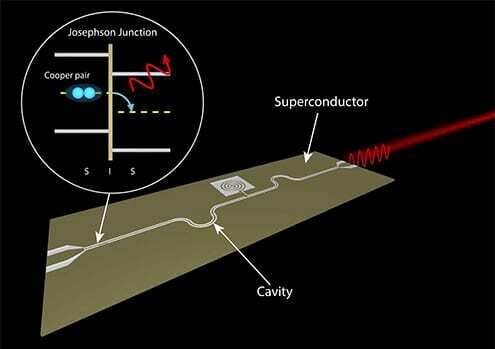 Paper: Demonstration of an AC Josephson junction laser. M. C. Cassidy1, A. Bruno1, S. Rubbert2, M. Irfan2, J. Kammhuber1, R. N. Schouten1,2, A. R. Akhmerov2, L. P. Kouwenhoven1,2. 1QuTech, Delft University of Technology, P.O. Box 5046, 2600 GA Delft, Netherlands. 2Kavli Institute for Nanoscience, Delft University of Technology, P.O. Box 5046, 2600 GA Delft, Netherlands.